Faith and fashion can truly bring people together. In fact, that is how I've met some of the most interesting people. Not to forget, being a blogger is also an important element in all of this. Today my friends and I were featured in the New Strait Times because the designer of a new Muslimah clothing line called Love to Dress is none other than Sumayyah Nasaruddin, a friend I've made through our shared passion for Islam, fashion and knowledge. When she asked me to be one of her models for the debut of her clothing line I did not hesitate to be a part of it! Sumayyah's journey is indeed an interesting one. Malaysia, Scotland, China and Australia. There's no stopping this woman! All the dresses are available at FashionValet.com (delivery throughout Malaysia, Singapore and Brunei) and LoveSora.com.au (delivery throughout Australia). I had a lot of fun at this photo shoot. The dress made me feel like I was about to attend a special event because of its regal look and feel. And that colour! What a gorgeous colour! But the best part is I felt very comfortable in the dress and I love the fact that it was made of stretchable cotton. The photographer, Daniel Zain, was funny and easy to work with. The girls were goofing around and making everyone laugh. 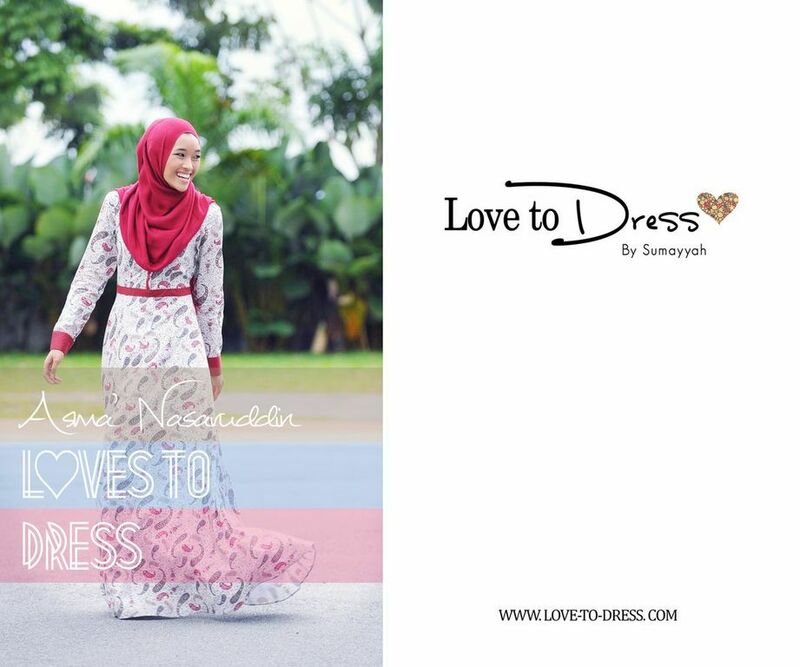 Alhamdulillah, I'm so happy to see Sumayyah, my sister in Islam, chasing her dreams. InshaAllah this is just the beginning of more successful ventures in her life. You all look beautiful mashaAllah and congrats! I feel happy, proud and motivated whenever I read or see another Muslim women go after her dreams, GO GO GO! You all look georgeous in those dresses, I'm in love with your, especially in a naivy colour!